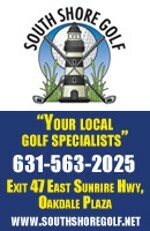 Golf On Long Island debuted in the summer of 2008 with a simple goal in mind -- provide Long Island golfers with detailed information about the courses they can walk onto and play. For nearly a decade, Golf On Long Island has been a central resource for public players, with overviews of nearly every course, facility updates and promotions, local golf news, features and more. There are dozens of public courses across Long Island, stretching from the Nassau-Queens border at a nine-hole muni like North Woodmere Park and the Arizona-esque Harbor Links near the Sound, to the tips of the Island at Montauk Downs and the very aptly named Island's End. When Lucas Glover walked off Bethpage Black in 2009 with a U.S. Open title, it marked the second time in a seven-year span that the sport's national championship was played at the Island's crown jewel of public golf. Long Island's Sunday morning hackers took a great deal of pride in the Open in 2002 and earned for the New York region the reputation of a rabid, vocal, golf-crazy fan base. Golf On Long Island is a place where scratch golfers and high-handicappers alike can come to find out about the public golf courses on the Island, from the perspective of an average golfer just like them. Course "flyovers" describe course layouts and conditions, and include points of interest, anecdotes, nearby courses and more. Occasional "observations" focus on one or two notable items from a recent round. "Closer Looks" dive deeper into layout and strategy on a particular hole, like the double fairway at Lido or the split fairway at Bethpage Red. The idea is to offer something more useful and memorable than the stock paragraph you can find on an Internet list or database available in a Google search. Anyone can turn up a wealth of information on Bethpage Black -- the goal here is to offer a similar dose of info on the rest of the crop of LI courses. 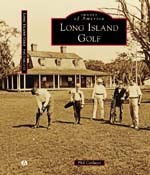 This website is also unique because it looks back into the past and brings to light pieces of Long Island's rich golf history, which stretches way back to 1891. We've highlighted historic holes, course origins, well-known designers and lesser-known course builders. Public golf on Long Island.